I don't know about you, but when the cleaning bug hits me, it hits hard. My husband knows that when I get that look in my eye, he had better 1) help me or 2) get out of my way. When I casually mentioned to him over the weekend that I wanted to do some spring cleaning, he looked at me warily and asked, "Today?" "Oh, sometime this week," I said breezily. The relief on his face was palpable. Having four people living in an 800 square foot apartment is no easy feat, especially when half the family is under the age of 3. My motto is that whenever something comes in, something needs to go out. This morning, I set out to go through the living room bookshelf to discard, rearrange, and donate a lot of the clutter. 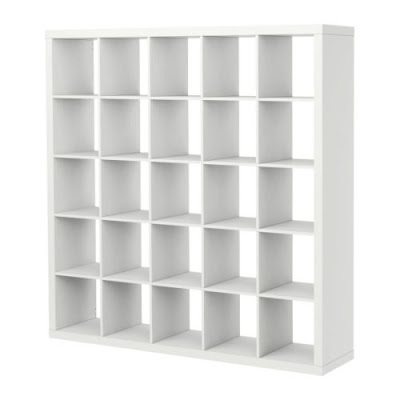 In our living room sits one of these handy IKEA monstrosities, of which 90% of New Yorkers probably own as well. Measuring 72" x 72", this storage system packs a lot of punch. Unfortunately, it also permits for a lot of clutter. Every member of our household has at various moments stashed items behind a neat set of books, hoping that no one will notice. Usually when something is missing in our home, it's hidden in the abyss of the IKEA bookcase. In anticipation of spring cleaning, I picked up 9 clear plastic shoebox sized bins. 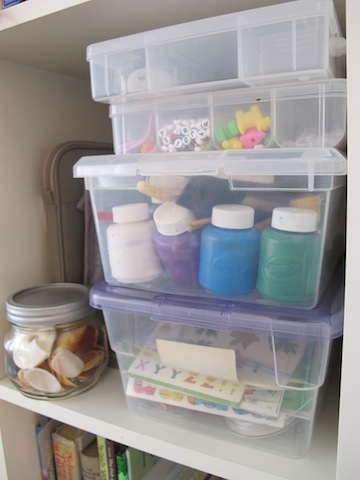 These boxes became my best friends as I happily placed stationary, stamps, glue, paints, stickers, and beads in their appointed, contained places. Clear plastic bins are a crafter's lifeboat. What's your favorite organizational system? OMG, I own one too. It's my studio. We should have a picture fest of what we've done with that shelving unit. Thanks for sharing. I owe all of my organizing super-powers to this IKEA shelf! It is wonderful! ...BJs is also a good source for plastic bins. I bought 20 of them at one time for a very fair price. And a wholesale glass bottle store has provided me with the ability to go totally OCD and organize my buttons by color. Great post. 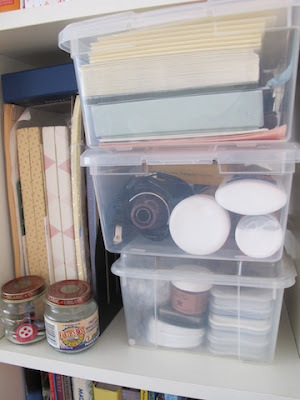 Organizing all my supplies in a small space requires constant attention. My studio is filled with all sizes of cabinets, vintage and new, with many many small drawers. I love the unexpected organizing. One day I couldn't take my embroidery hoops rolling everywhere and I just throw them on a string that hangs from my wall off two nails. Cheap and easy! I dream of Peg boards. Man do I want them. ooooh, i love to organize :) i often go on a 'cleaning frenzy' too! i'm constantly on the lookout for great vintage pieces for my studio. 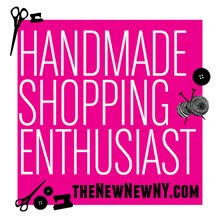 as my business grows, i find that by rearranging and renewing my space from time to time it has grown in a really natural and organic way...just wish i had room for the ikea bookcase...thanks for sharing your tips!